I have only been to one UCLA book festival before, and had forgotten my aversion to big crowds. (I am presuming that only half of the reported 130,000 visitors were there on Saturday). I fought my way through the crowd on my way to the Children’s Stage, and stopped to catch my breath at the top of the Janss Steps. The view from there of the crowds and the jaunty, pointy-topped white tents was one I would love to have captured – but I had forgotten my trusty camera! I really went to see authors and illustrators. I particularly enjoyed seeing our own SCBWI Executive Director Lin Oliver with co-writer Henry Winkler, entertaining the crowd with their latest in the Hank Zipzer series (#17!! Hank Zipzer: A Brand New Me!) They were so charming and generous, giving pairs of books (one to keep, one to share with a friend) to children in the audience. Also saw David Shannon, the featured illustrator this year, who signed heaps and heaps of books. I love his work, especially the No, David! series. His new book is Robot Zot! 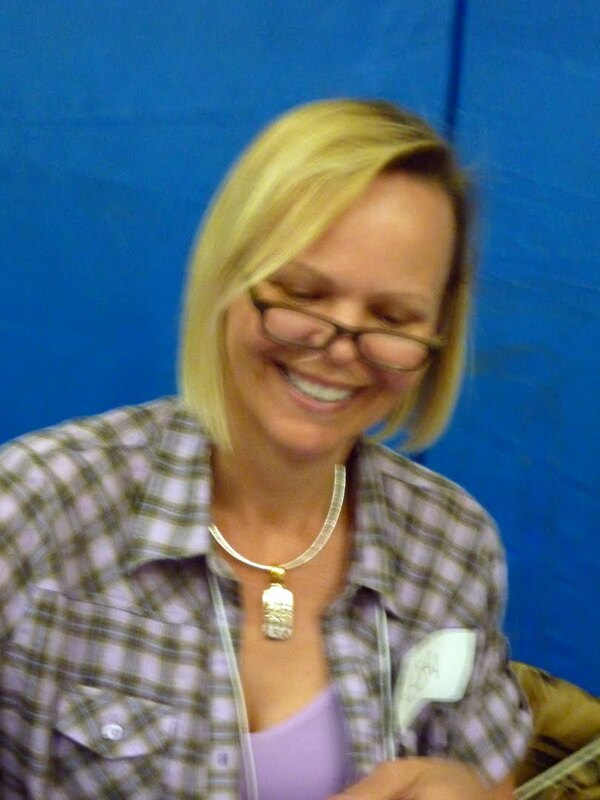 It was a fun day – beautiful weather, authors (400!) and illustrators and books, books and more books. Who could ask for more? I’ve read a ton of picture books. I’ve been attending SCBWI for a million years. I’ve met – and actually spoken to – real professionals in the field (and tons of lovely soon-to-be-published folks). I sold my book! I worked with an editor and got the illustrating job done and my book will actually be in the book stores on June 8. The book has gotten great reviews. It got a starred review from Booklist. I am over the moon – how impressed should I be? Now my book has been named to Booklist’s Top Ten List of Historical Titles for Youth for the whole (past) year! 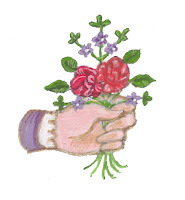 It appears to be the only picture book on the list, which includes such heavyweights as Karen Cushman’s Alchemy and Meggy Swann and the Evolution of Calpurnia Tate by Jacqueline Kelly as well as Richard Peck’s A Season of Gifts!! I’m thrilled! I have an actual copy of the book in my hands! Can it get better than this? Will the actual book release be a let-down? Will all my creative juices dry up? Will I ever be published again? Will anyone other than my closest friends and relatives buy one? Scary stuff. Wonderful! …..but scary. Writers Day was great, as usual. I learned a lot and saw many of my friends. 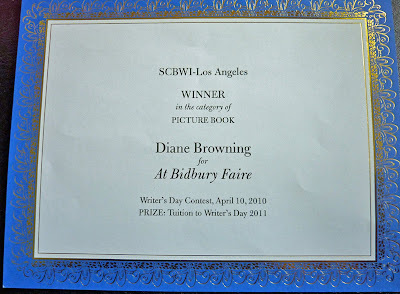 And at the end of the day I won the picture book contest for my story ‘At Bidbury Faire’. 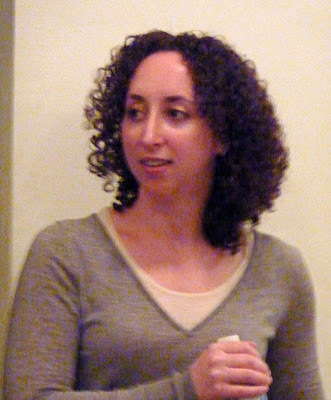 Rachel Abrams, Assistant Editor at Harper Collins, was the first speaker and gave some tips on dialog. Lisa Wheeler (author of Castaway Cats) spoke next. 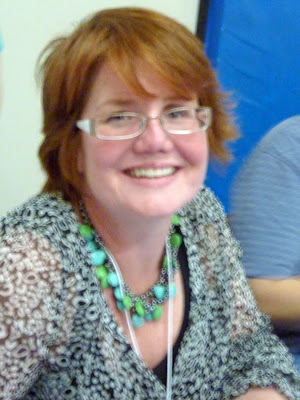 She’s an incredibly prolific writer and has written both rhyming and non-rhyming books. “Rhyme with Reason” was the title of her presentation. Though not every story should be told in rhyme, she gave some good examples of rhyming books that do work. A familiar pattern was lullabies (calming writing is perfect for poetry). Alphabet books are conducive to rhyme, but are hard to sell. Books with elements of motion, musical elements, number sequences, and seasonal themes lend themselves to rhyming. In the afternoon I attended a workshop on blog tours, conducted by writer Nancy Saunders. She approached the subject by communicating her understanding that this might be a scary thought for those of us that are new to blogging and/or newly published writers and illustrators. She gave us choices from #1 (easy) to #10 (most complex) and kindly suggested to us that if we were at all leery of this project to start easy. Sounds good to me! tell with dialog, not description. Some days writing is no good. 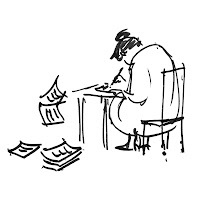 That’s OK – no one ever died from a day of bad writing. Reading is part of your job: read every genre; get to know what’s current. Don’t write “cheerio’s.” You need a full meal in your writing. Good is a relative term. Real people have flaws. The personal is often universal. Get into a vulnerable state to write your characters. Ask yourself: how do those characters feel? Why do they do what they do? Why do they take the action they do? Find your own voice and honor it. Get out of your comfort zone. No one is looking over your shoulder. Write what you have to say. Truth can, and should, make us uncomfortable. If your story doesn’t make you nervous, if there are no stakes, it’s not a story you need to tell. 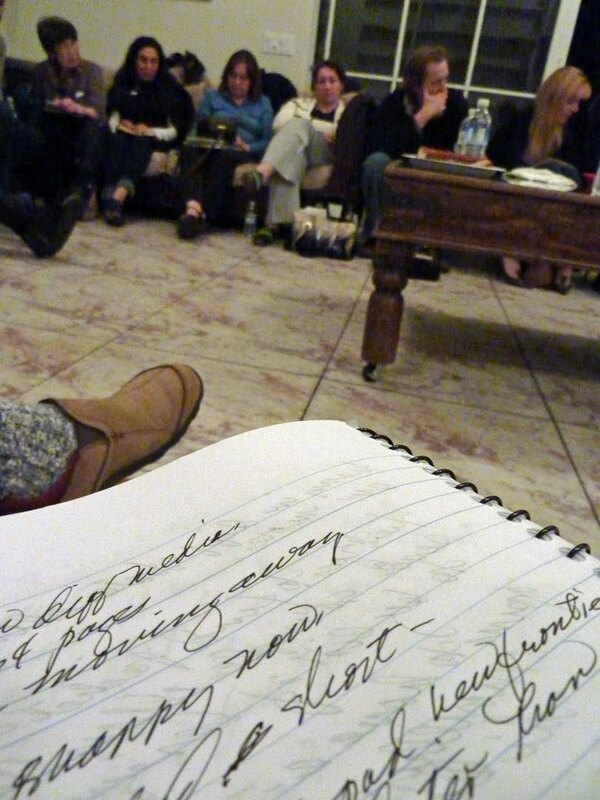 I always enjoy Writers Day. I always learn a lot, enjoy the day and return home happy and recharged. Downtown’s Central Library has had wonderful exhibits of the works of children’s book illustrators and hosted talks by children’s book authors and illustrators. 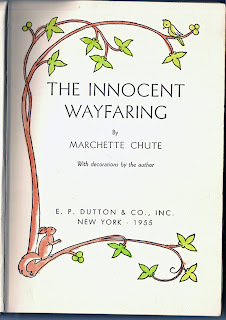 I’ve seen an exhibit there of Leo Politi’s wonderful paintings and fell in love with Fred Marcellino’s book covers and children’s illustrations. Now his cover from Puss in Boots, (which has no title to distract from the exquisite close-up of the famous cat! ), graces the computer screensaver I see every day. 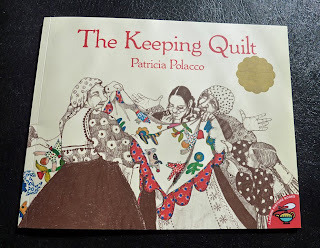 The last library event I attended was a talk by one of my favorite illustrators, Patricia Polacco. She told us wonderful stories about her family and childhood which have inspired her many, many lovely books. She showed us the very quilt her grandmother made out of the blue dress and red babushka she had worn when she came through Ellis Island. 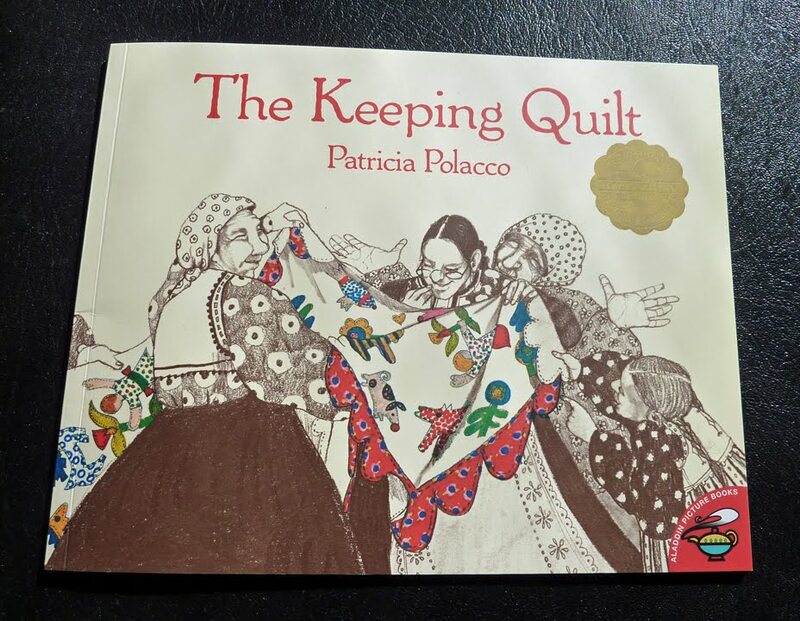 The quilt inspired one of the 77 books she’s created (one of my favorites!) The Keeping Quilt. 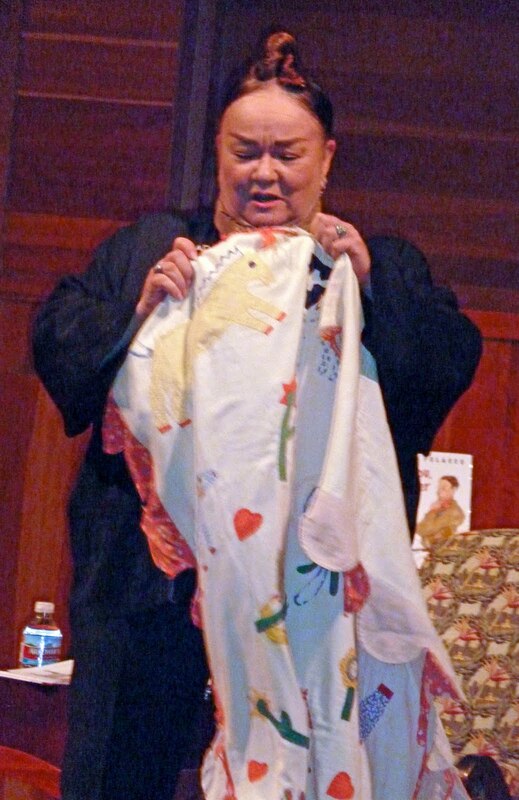 She also revealed that she has 2 dogs, 12 goats, 3 sheep and many, many cats! She also raises horses. No wonder the animals in her stories are so fabulously portrayed. She has so many models on hand! My sister taught me to read before I went to school, and I was totally won over by the magic of books. 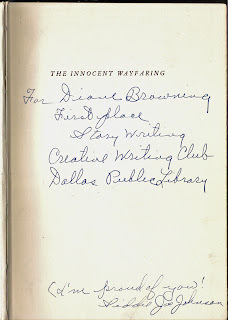 Then when I was eight she got a job in the children's department at the downtown Dallas library. My other sister and I attended the Creative Writing Club Siddie Joe Johnson, the children’s head librarian, started there. 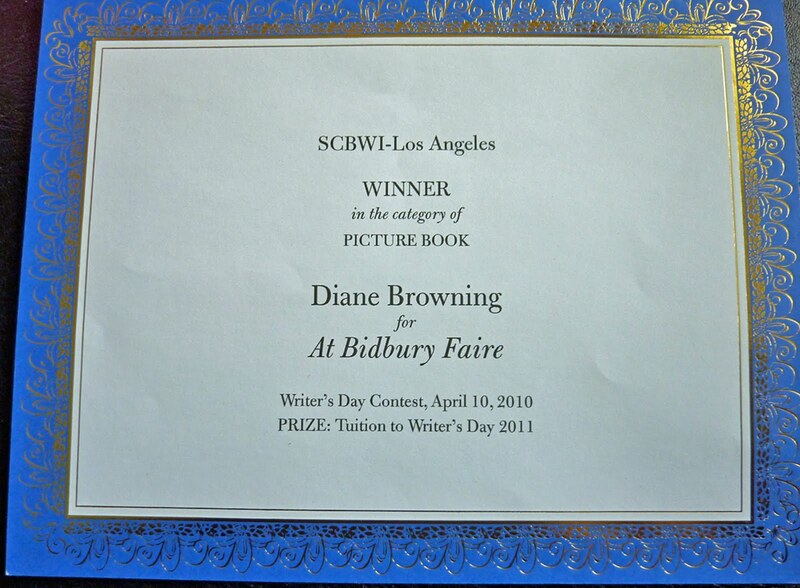 I was thrilled to twice win story writing contests – the awards were books. 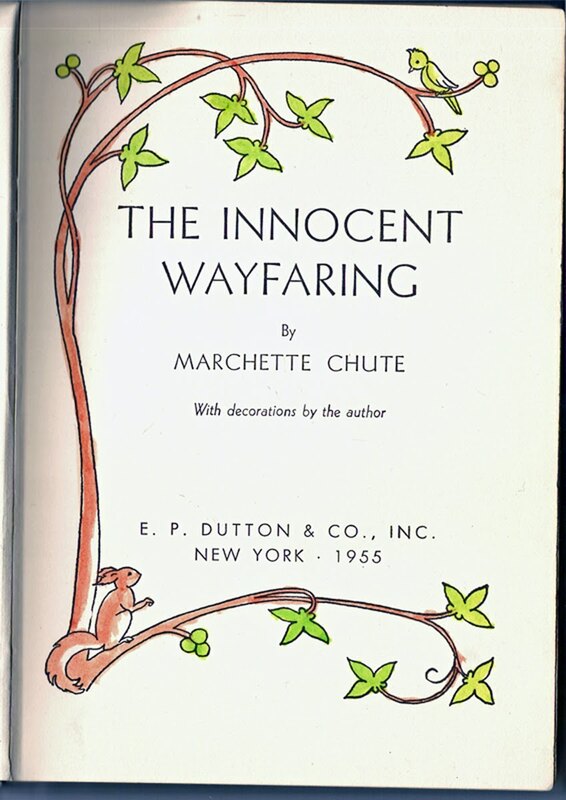 One of my prizes was The Innocent Wayfaring, by Marchette Chute (with decorations by the author, hand-colored by me!) It’s still a favorite. I was so impressed -- I fancied being a gypsy! I also felt honored, because I was in awe of Miss J. Before we left Dallas, Miss J took us three sisters to lunch and on a tour of the great new cavernous library just finished, and not yet open to the public. It was sad, in a way, because we loved the old library, now gone, and we would not get to be part of the new one. 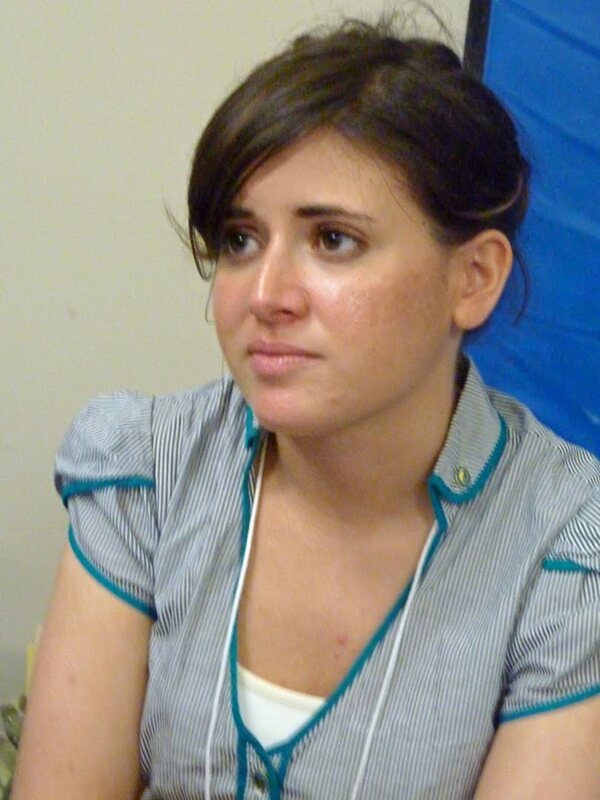 Miss J had arranged a job for my sister in the Los Angeles library, which we would come to know and love. There would be many more libraries for us to fall in love with and more wonderful librarians to meet. But we have remembered Miss Johnson fondly and with great respect, for her kindness, talent and wonderful work as a librarian. Now, years later, I've learned Siddie Joe Johnson is legendary in Texas. 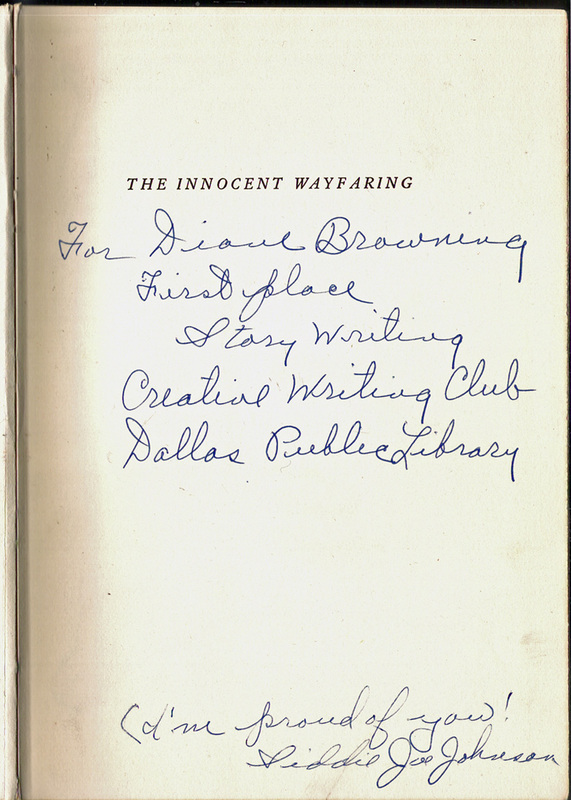 The Dallas Public Library has an impressive Siddie Joe Johnson Children's Literature Collection which includes original illustrations and rare first editions. Miss J was an award-winning librarian and children's book author as well as a published poet, editor and teacher. 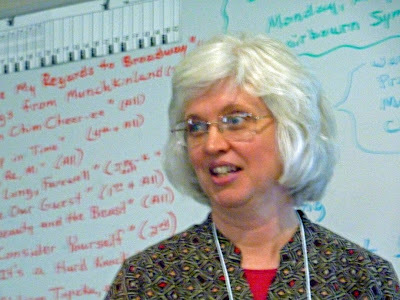 She worked to encourage children to read and love the telling of stories. The Texas Library Association has established an award for children's librarians, as well as one for children's literature, in her honor. She was also a lovely lady and a wonderful mentor and friend. Miss J was a great influence in my life. I already wanted to be an artist. Due to her influence my world opened up even more. 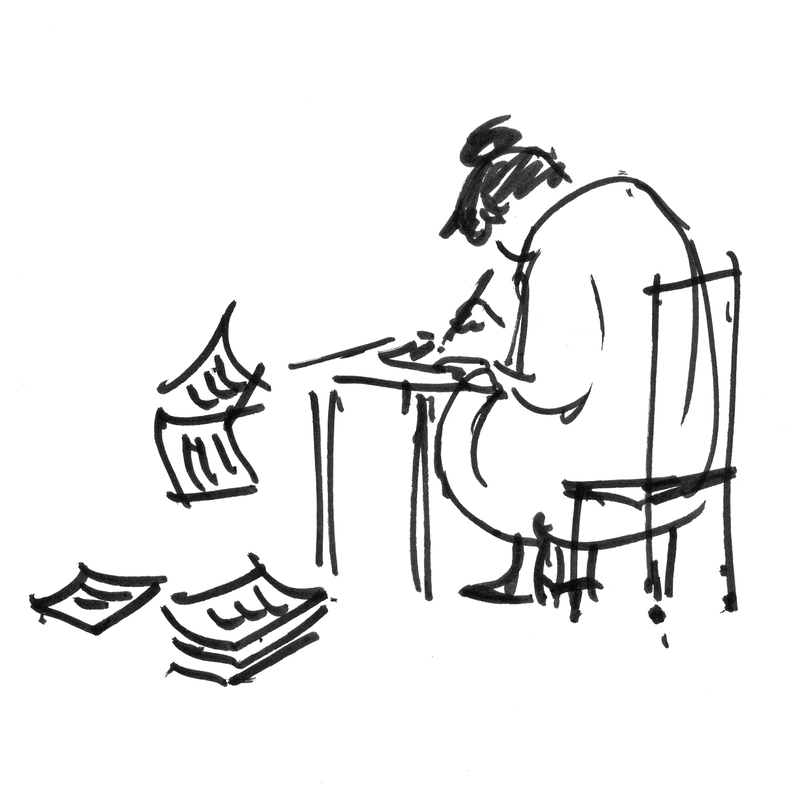 Perhaps I could also be this wonderful thing – an author! 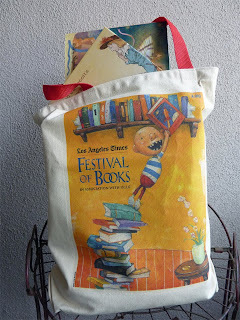 Paula Yoo has announced the second annual National Picture Book Writing Week! I wasn’t able to join in this ambitious event last year, but will be signing up this year. I’ve been so busy with book editing, illustrating and promoting I haven’t been writing as much as I should and I hope this exercise will re-charge my batteries. I’m already excited. Paula says we can think about and even research ideas for our picture book manuscripts, but no writing until May 1! Let’s all put our picture book thinking caps on. Paula is the first author I heard speak at Catherine Linka’s Writer to Writer. She was so knowledgeable and helpful as she spoke on plot development and structure! I instantly became a fan of both Paula and W2W. Thanks, Catherine and thanks, Paula – I’ll be writing my seven new picture books in May!